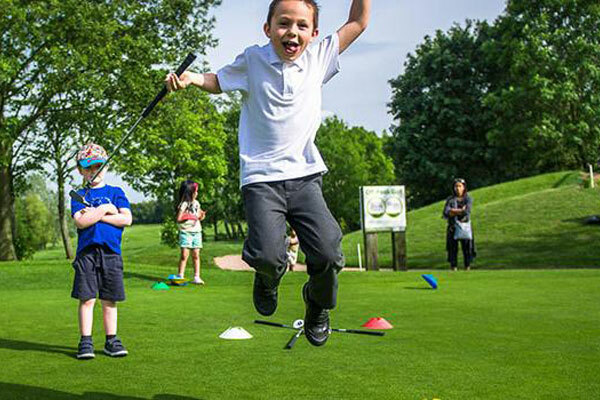 At Abbey Hill, we have a strong commitment and enthusiasm to Junior Golf. As a Junior Golf School we teach and offer opportunities to juniors of all ages, abilities and needs. Our PGA Golf Qualified Teaching Professionals are committed to developing your child’s ability and enthusiasm for what is a lifelong sport. Lessons are fun, sociable and conducted in a safe environment. 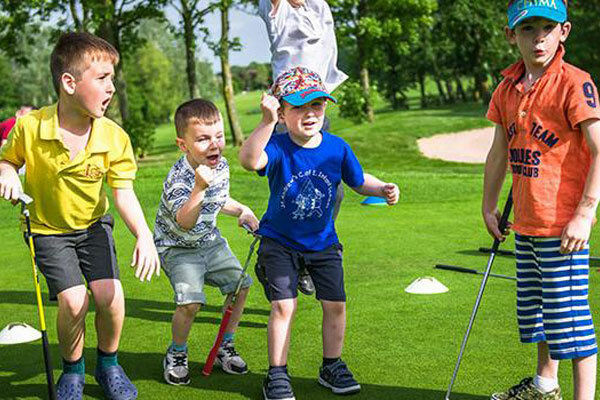 Give your child the best start in golf by choosing from a different range of learning options or enrol them in the Learn Golf Membership, which is just £49.00. You do not need to buy any equipment, we will provide everything required to get started. Junior lessons range from our starter roll up sessions on Thursday and Sundays through to group lessons every term, no need for any fancy equipment just bring trainers and comfy clothes. Our onsite golf shop at Abbey Hill has an array of junior equipment. The money off vouchers may be used at any time during the membership period. The camps are a fantastic way to keep your kids active and enjoy fun outdoor activities whilst making friends and getting them into a sport – all they need to bring is themselves, comfy clothes and trainers! 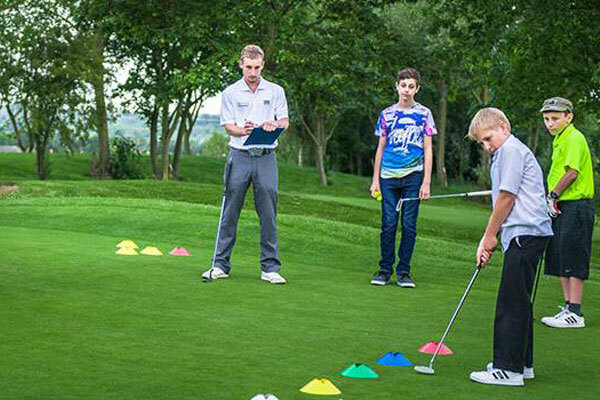 The camps cover coaching on all aspects of the game, from the driving range, Mr Mulligan’s Adventure Golf, putting and chipping greens, and even Footgolf! Each day includes a hot lunch.